Are you tired of wasting your time listening to radio and podcast shows that do absolutely nothing to GET YOU RICH RIGHT NOW? Well, tire no more! 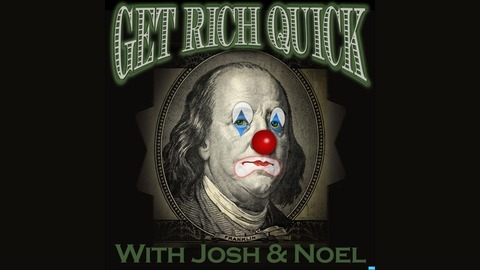 GET RICH QUICK with Josh and Noel will help you GAIN WEALTH using nothing more than your ears! 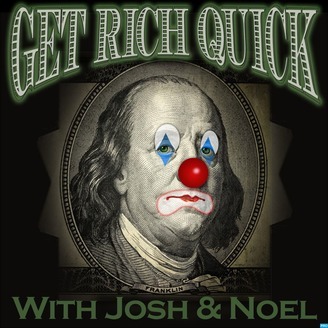 GET RICH QUICK with Josh and Noel has NO HIDDEN FEES, NO OBLIGATIONS, and requires NO MONEY DOWN! Every week we examine a different way for you to finally LIVE THE LIFE OF LUXURY YOU DESERVE! Stop being a chump, TUNE IN NOW! Get Rich with Mashups! Take a little of this, mix in a little of that, and you've got a whole new thing. Why be original when you can be rich instead!